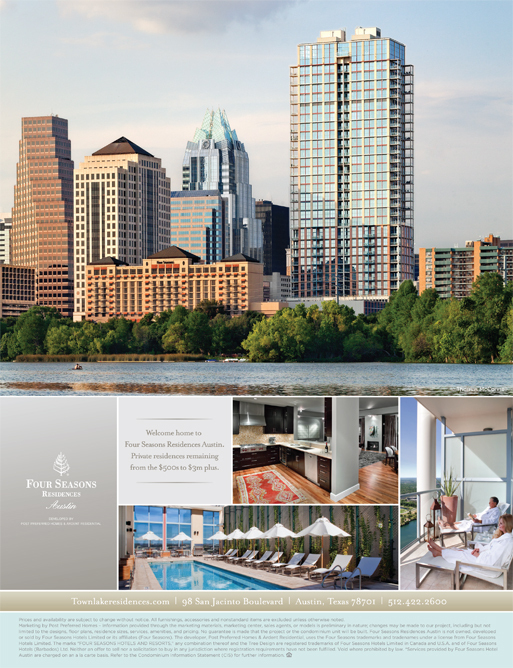 The MOD Studio is very excited to be working with the Four Season Residences Austin! This past Sunday, April 22nd, The Four Seasons Residences was featured as part of the Downtown Austin Neighborhood Association (DANA) Urban Living Tour. Featured as one of the VIP residences, tour attendees also got a glimpse of other urban living hot spots including The Austonian, The W, and the historic Graeber Building – which was built in 1882. 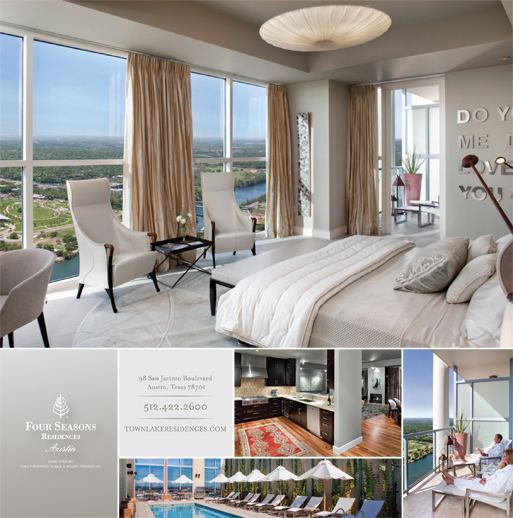 As part of our collateral project with the Four Seasons Residences, The MOD Studio designed the ad and promotional piece shown above, showcasing the amazing views and fabulous amenities of Austin’s latest residential high rise. For more information on pricing and available of units, contact your favorite Realtor or the Four Seasons Residences Austin directly here.